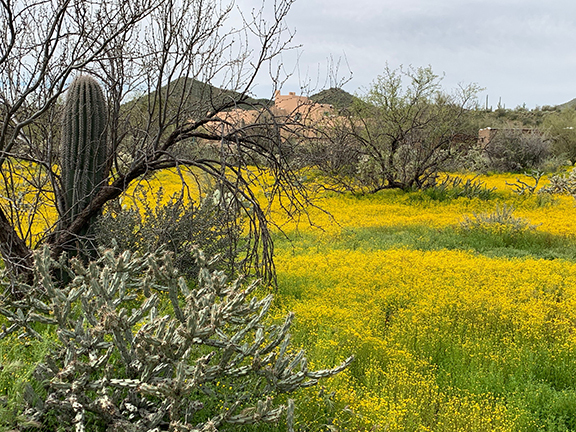 Went for a walk this morning and spied a budding saguaro on the northern end of our property. I don't know why I hadn't seen it before. According to a botany-minded friend of mine, "nurse plants protect budding saguaros and it may take 20 years for the bud to emerge into a one foot plant." This little plant is well on her way. "The only difference between a rut and a grave is the depth."